According to recent rumors, HTC plans to officially unveil a successor to the HTC One M8 in March 2015. The company is expected to introduce the HTC Hima at a dedicated event. 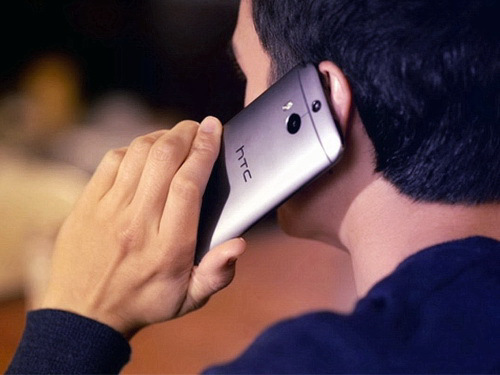 Although we previously expected that the HTC flagship smartphone of 2015 will be called the One M9, recent rumors suggest that the device is actually going to be called the HTC Hima. More recently, a popular leakster suggested on his Twitter channel that the successor to the HTC One M8 will be unveiled in March 2015. If this rumor turns out to be accurate, the Taiwanese manufacturer will not unveil a new flagship smartphone at CES 2015 in January. Although MWC 2015, the most important tech show of the first quarter, is scheduled for 2 to 5 March, HTC is expected to hold a separate media event later in the month to announce its new flagship. Obviously, you should take these rumors with a grain of salt, but they do match well with the HTC One M8 schedule, a device that was announced at a separate event a few weeks after MWC ended back in March 2014. According to previous rumors, the HTC Hima will come with a 5-inch fullHD display, a Qualcomm Snapdragon 810 chipset paired with 3GB of RAM, a 20.7MP primary camera, a high-res 13MP secondary shooter, and a 2840mAh battery. Separate rumors have indicated that HTC could release the Hima with a Snapdragon 805 chip, and then release a "Prime" version based on the Snapdragon 810 chip later in the year, although this seems a bit less probable. Other sources claim that the front-facing camera will actually be an Ultrapixel camera. All of the rumors seem to agree that the HTC Hima will run Android 5.0 Lollipop overlaid with an updated version of HTC Sense.